1.MVVW Principle: You get a solid, cleanly divided architectural structure to develop your application based on MVVW pattern. The $scope (viewmodel) references data, controller augments its behavior, and the view takes care of layout. 2.Automatic DOM manipulation: You don’t need to add a single line of code to manipulate DOM. 3.Packed: For rapid client-side CRUD front-end app development, you don’t need anything other than Angular. With RESTful APIs, two-way data-binding, dependency management and more, you’re pretty much set. 4.Tenacious Testing: Refactoring, debugging, and general maintenance is piece of cake with quality code and on Angular, nothing less is allowed. The dependency injections, unit-testing tool Karma, and the enterprise-grade end-to-end testing beast Protractor ensure that you stay on the right track right from the beginning. 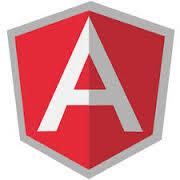 1.Novelty: The developer community is still testing the waters on AngularJS. Not as many developers have made the leap to AngularJS. 2.Steep learning curve: You need to apply yourself to learning this framework for a while before you get the hang of it. jQuery is easier to learn.